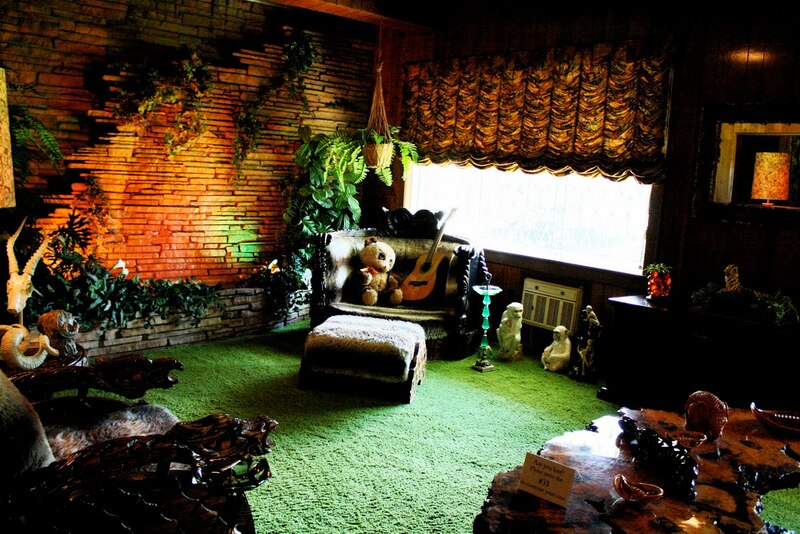 When I first moved into this house, I ended up shoving a lot of stuff into the Jungle Room. Like, an embarrassing amount. It’s no excuse, but my mom comes from a long line of hoarders, and I unfortunately had inherited some of her tendencies. And if you used to follow my old blog you may have heard me talking about cleaning out or organizing the Jungle Room but guess what? Still not done. and C) paper. Or, more accurately, letters. Remember, kids, the time before e-mail and affordable cell phone plans? When people used to actually mail each other stuff? I hate my handwriting now. It’s too messy. It’s hard to read. My hand cramps up because it’s not as fast as my brain. But back in the day, I used to write letters and send postcards like nobody’s business. I even used to do what I affectionately dubbed “envelope art.” These were mostly for the benefit of the Boy Who Shall Not Be Named (BWSNBN), during a very specific period of time in both our lives, but still. There were drawings and paintings and all sorts of stuff on those envelopes. During my purging in Saturday I went through a plastic shoe box full of letters going back as far as 1991. No joke. Letters from friends, letters from boys, letters from my grandmother, letters from my mother (those stung the worst but also made me really glad that I was once a minor-league hoarder if only because I still had her letters). There were cards, too, and postcards. Also some odd phone messages roommates had jotted down for me in college. And some printed emails from my very first account on UD’s old Pine system (Chambers, I’m looking at you!). I started to purge some – like cards from a college friend I hadn’t so much as emailed in more than a decade, and an old roommate who still sends me holiday cards of her family even though we haven’t had any other contact since the late ’90s. But most of them I couldn’t. Rereading them helped me remember things that had long since slipped from memory. They represent my history. They are the story of a very specific part of my life. 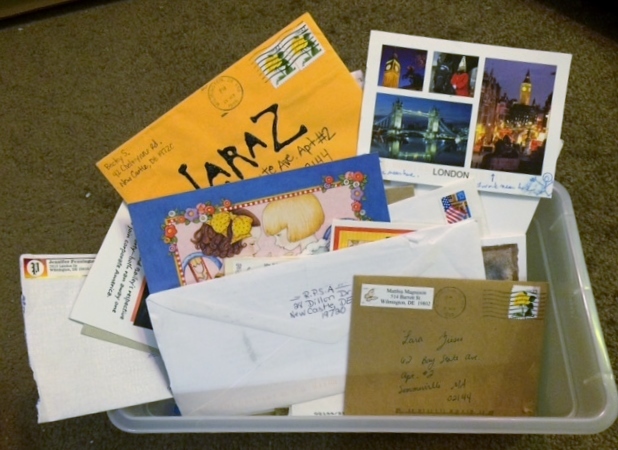 And then there was the not-plastic shoe box, filled with not only letters but also ticket stubs and programs and pictures and odd bits and pieces. Basically, the remaining mementos of the BWSNBN. Like a relationship in a box. And so help me god, I got rid of all of it – the tin foil sculpture he made me junior year in high school. Soap from a Motel 6 I stayed in while visiting him once during college. A Christmas ornament, a 1″ button, a game token. Except the letters. I couldn’t bring myself to get rid of them (and a couple of rando pictures I’d kept, too). I mean, we’re talking about some of the most formative years of my life there. Those are some of the most precious keepsakes I have of my mom. Every time I see her handwriting, it makes me feel closer to her. I don’t know why, exactly. Maybe because it’s so distinctly her. I really need to start sending old-fashioned letters. Not just thank you notes or birthday cards, but serious, straight-up letters. Letters that hopefully the recipient will tuck away in a box (preferably archival safe, like the one I’ll be relocating mine to shortly) and have as a reminder of what once was for years to come. If it’s you, try to cut me some slack on the handwriting. I’m a little out of practice.